The Haven provides this website as a public service. Users of this website are responsible for checking the accuracy, completeness, content, currency, suitability, and timeliness of all information. The Haven makes no representations, guarantees, or warranties, expressed or implied, as to the accuracy, completeness, content, currency, suitability, and timeliness of the information provided via this website. This information is provided on an “as is” basis. The Haven reserves the right to add, remove or edit any materials from its official web site without notice. The Haven specifically disclaims any and all liability for any claims or damages that may result from providing the website or the information it contains, including any websites maintained by third parties and linked to or from The Haven’s website. The Haven makes no effort to independently verify, and does not exert editorial control over, information or services provided on pages outside the ci.Sarasota.il.us domain. The Haven does not endorse any of the products, vendors, consultants, or documentation referenced in this website. Any mention of vendors, products, or services is for informational purposes only. All trademarks, servicemarks and copyrights mentioned in this web site belong to their respective owners. Any commercial use of the materials stored on The Haven web site is prohibited without the written permission of The Haven. Any communications or material you submit by electronic mail, interactive forms or otherwise, including any data, questions, comments, suggestions, or the like is, and will be treated as, non-confidential and non-proprietary. Anything you transmit or submit may be used by The Haven for any purpose, including, but not limited to, reproduction, disclosure, transmission, publication, broadcast and posting. Furthermore, The Haven is free to use any ideas, concepts, know-how, or techniques contained in any communication you send to The Haven for any purpose whatsoever including, but not limited to, disseminating such information. Every request by a person or entity to have The Haven provide a link from its website to the requesting party’s website must undergo review to determine its relevance and appropriateness to The Haven website’s mission. The Webmaster will review the merits of the requested link, keeping in mind the criteria and examples listed below, to determine whether the link serves the overall purpose of The Haven’s website. The request with a recommendation from the Webmaster will be presented to The Haven Manager for final approval. A request will not be denied because of a viewpoint espoused by the person or entity. Furthermore, the following criteria will be used in considering requests for links from The Haven’s website. • Tourism and convention information related to Sarasota and the region, including major tourist attractions in the region. The Haven reserves the right to determine how and where external links will appear on its web site; i.e. what page the link appears on and where the link is placed on the page. 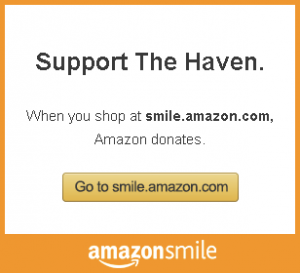 Advance permission to link to The Haven’s Website is not necessary. However, the party linking to The Haven’s website should be aware that its subpages may change at any time without notice. Entities and individuals linking to The Haven’s website shall not capture pages within frames, present The Haven’s website content as its own, or otherwise misrepresent this website’s content or misinform users about the origin or ownership of its content. Any link to The Haven’s website site should be a full forward link that passes the client browser to The Haven’s website unencumbered. The web browser’s “back” button should return the visitor to the originating site if the visitor wishes to back out. The information posted on The Haven’s website includes hypertext links to information created and maintained by other public and/or private organizations. The Haven provides these links solely for users’ of The Haven’s website information and convenience. When users select a link to an outside website, they are leaving The Haven’s website and are subject to the privacy and security policies of the owners/sponsors of the external. The Haven reserves the right to modify, suspend, discontinue or restrict this site, including the availability of any portion of the content at any time, without notice or liability by The Haven. The web site may be temporarily unavailable from time to time due to maintenance or malfunction of computer equipment.